Since spotting Kate Spade’s feathered skirt, we’ve been slightly infatuated (okay, more like enamored) with the idea of having a style season a la feathers. Our hosts for tonight’s “Just Add Glam” Posh Party – Jennifer of Just Add Glam and Adiel of It’s Because I Think Too Much – are sharing how they fashion feathers for daytime on today’s post. 1. 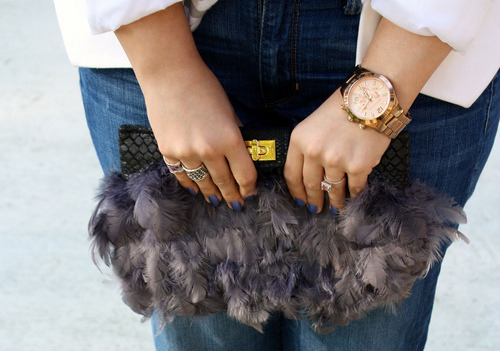 Feathers make such a fun statement, what is another bold trend you are loving for the holidays? Feathers are always fun, but I love the idea of sparkle for the holidays. It’s one of the few times a year where I feel a big presence of glitter, sequins and sparkle, so it’s fun to play around with that trend! With this trend, it’s really fun to pair some glam sparkle (whether it’s a statement necklace or other jewelry) with a season-appropriate plaid. It’s a fun mix of masculine and glam! 2. 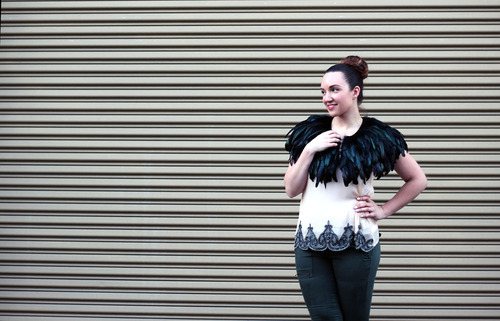 Feathers are so festive and fun, but what are your tips for wearing them for daytime? Feathers can easily be transitioned to daytime. You can embrace this trend by wearing white or natural-colored feathers in small amounts – think feather earrings or a feathered headband! I really like statement outerwear this season. Bold prints or loud colors; I’m trying to stock my wardrobe full of ‘em! 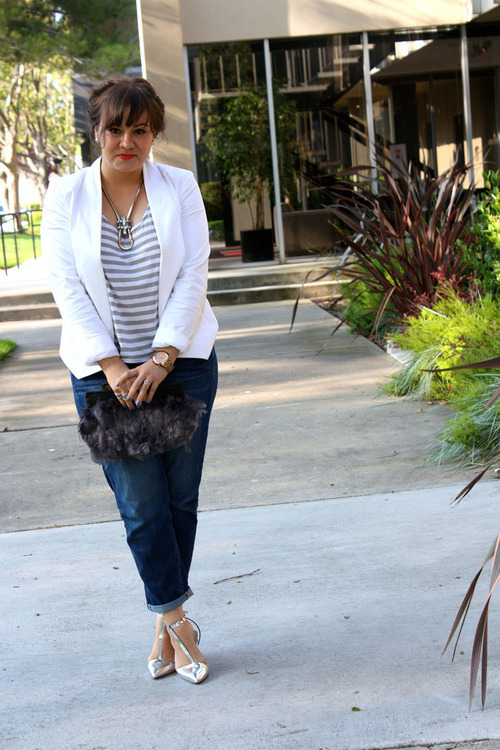 Feathered accessories are best for a day look; think earrings, handbags, or hair pieces. If you are feeling a little more daring, wear a feathered skirt with casual basics such as chambray shirt or basic tee. Previous Post #PoshmarkTurns2 Birthday Recap! Next Post Holiday Gift Guide for All Budgets!